WASHINGTON, D.C. - Frater Richard "Digger" Phelps (Epsilon-Zeta, Rider Univ.) has been appointed by outgoing President George W. Bush to the President's Council on Physical Fitness and Sports for the remainder of a two-year term expiring 05/03/2010. The President's Council on Physical Fitness and Sports advises the President through the Secretary of Health and Human Services about physical activity, fitness, and sports, and recommends programs to promote regular physical activity for the health of all Americans. In making recommendations, the Council supports the health initiative of the President, HealthierUS, the prevention initiative of the U.S. Department of Health and Human Services; Steps to a HealthierUS, and the physical activity and fitness objectives of Healthy People 2010, the government's ten year health objectives. The Council's programs, projects and public information materials/campaigns emphasize the importance of regular physical activity, including sports participation, for Americans of all ages, backgrounds, and abilities. The Council collaborates with public and private sector sponsors to conduct programs and produce public information materials. The President's Council on Physical Fitness and Sports was established as the President's Council on Youth Fitness, on July 16, 1956, by President Dwight D. Eisenhower after the President learned the results of a report indicating that American children were less fit than European youth. The first Council, chaired by Vice President Richard Nixon, included the Cabinet Secretaries as members. In 1963, President John F. Kennedy changed the name to the President's Council on Physical Fitness, expanded the mandate to all Americans as well as youth, and clarified the purpose and function of the Council. In 1966, President Lyndon B. Johnson broadened the Council's mission to include sports and changed the name to the President's Council on Physical Fitness and Sports. President George W. Bush signed Executive Order 13265 on June 6, 2002, announcing a reinvigorated Council, and introduced his Council, under the leadership of Lynn Swann, Chairman, and Dorothy ("Dot") Richardson, Vice Chair. Through its programs, partnerships, publications, and Web sites, the Council promotes daily moderate physical activity for disease prevention and health; vigorous physical activity, stretching, and strength training for fitness and added health benefits; and sports participation, including the values of sportsmanship. The Council collaborates with federal, state, and local agencies and with the private sector and non-profit organizations to achieve mutual goals and objectives. 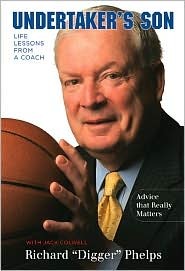 Frater Digger Phelps received Teke Alumnus of the Year in 1979 and has had a rich background in keeping Americans physically active. Frater Digger was the coach of the Notre Dame Fighting Irish basketball team in the 1970s, 80s, and part of the 1990s. The nickname "Digger" derives from his birthplace of Beacon, New York, where his father owned a funeral service. Professional baseball player Jamie Moyer is his son-in-law. He is an analyst on ESPN's College GameNight. During his 20 seasons at Notre Dame (1971-91), his teams went 393-197, with 14 seasons of 20 wins or more. In 1978, Notre Dame made its only Final Four to date. His most-remembered game was on January 19, 1974, when the Fighting Irish scored the last 12 points of the game to defeat top-ranked UCLA 71-70, ending the Bruins' record 88-game winning streak. He shares the NCAA record for most upsets over a #1 team at seven. After retiring from coaching, he briefly worked for the Office of National Drug Control Policy in the administration of George H.W. Bush and also served as an observer in the 1993 elections in Cambodia. Also in 1993, he began a broadcasting career. Starting in that year, he announced color commentary for that year's NCAA tournament for CBS. He joined ESPN the next season. Phelps also released his memoirs in 2007, entitled "Undertaker's Son: Life Lessons from a Coach." Phelps resides in South Bend and has three adult children. Adapted from an Office of the President of the United States Press Release. If you would like to see your chapter news here, contact Director of Communication Tom McAninch.